It's time for another great sketch challenge this week at Global Design Project. It is hard to believe that we have had 150 challenges. WOWZERS! While I haven't participated every single week, I do my best to join in when I can. The guys and gals on our team are so incredibly talented and it is such an honor to be associated with every single one of them. Seriously, if you look at the sketch, it looks a lot like a picket fence...so I just had to go there! The detail I got by using the Pinewood Planks 3D Dynamic Textured Impressions Embossing Folder for the fence posts is amazing. I wanted the fence to be center stage, but still needed to add some interest, so I used a piece of Tranquil Textures DSP for the background and then just built the fence on top. The flowers and bird are from one of my favorite stamp sets, Petal Palette, and the greeting is from the Rooted in Nature set. 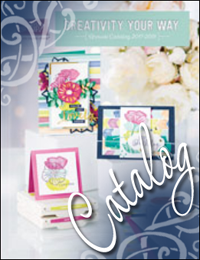 Everything is stamped in Memento Tuxedo Black ink and colored with Daffodil Delight and Old Olive Stampin' Blends. I added to the foliage by stamping, coloring, and die cutting two sets of flowers. One I left whole and the other one was cut into bits and tucked behind to fill out the design. This week at the Global Design Project challenge blog we are CASEing this beautiful card by Janneke de Jong. I was a little nervous about this challenge. Janneke's card is so CAS with soft, beautiful colors...not my typical stamping style. For my card, I decided to keep the same basic layout and colors, but instead of Christmas elements, I decided to use a floral element instead. I started by stamping the leaves from the same set onto a Whisper White cardstock background and colored them with the Crumb Cake Stampin' Blends set. I stamped the leaf cluster two more times onto another piece of cardstock. I colored them the same way and fussy cut them to add in later. To add the splatter to the background, I used a regular Stampin' Write Crumb Cake marker. One of my favorite things about Stampin' Up! products is the way everything matches. To create this gorgeous bloom, I started by stamping three flowers from the Remarkable You stamp set on Whisper White cardstock. I wanted to practice with my Stampin' Blends, so I colored each flower with the Pool Party set. I fussy cut all three flowers and then arranged them to create one big, beautiful one. I am not exactly sure what type of flower I created, but it sure is pretty. If you think this card looks like it is popping off the page, well, it literally is. I love making cards with dimension, but I admit that are a little difficult to mail...but nothing that a padded envelop can't fix. When I started this card, I definitely had a particular look in mind. It was pretty, but it didn't really come to life until I added the rhinestone center. I didn't want to introduce any additional colors and I could have left the rhinestones clear, but I chose to color them with my Dark Pool Party Stampin' Blends marker. Love it! This is one of those cards where it is difficult to capture how pretty it is with a camera. Those rhinestones make this card a show stopper in real life.